Hi girls! <3 I recently opened my Instagram page so feel free to follow me by clicking HERE. I have to admit, I used to hate this social network due to the fact that so many people used it for the wrong reasons. Within that, I'm referring to attention seeking girls, and many other "phenomena" that I`m not even going to bother mentioning. But then I started looking from the other perspective, and noticed that I could make my account however I want it to be. Meaning, I could follow only profiles I`m interested in, such as photography, food, fashion, fitness pages,etc. Also I`m not being exposed with random user photos, so I`m keeping my privacy and making Instagram the way I want it to be. What I liked the most, is that I can express my personality much more then on the other social networks. By sharing all the little things that "catches my eye", or pieces of my everyday life, you may be able to understand me a bit more. So yup I`m giving it a shot! ;) Have a fun day! Cool images hete is my link beautify11jackie follow I will follow back. Oiii tudo certo? Ahhh que linda amei o as fotos do instagram, sempre linda e fashion! Unas imágenes preciosas, seguro que sacarás muy buen uso de esta red social! touch? Lemme know & take care! Do you like follow each other via Instagram???? very nice! 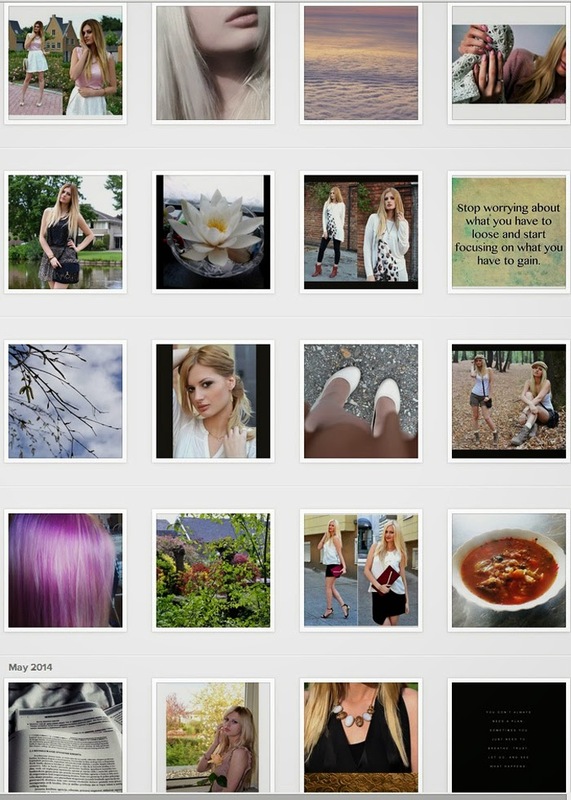 love your instagram photos :) thanks for visiting my blog! Such amazing fashion photos. Have a wonderful start to the weekend! Amazing blog, I have followed you with Bloglovin and if you ever get a chance to check out my blog I would be delighted, thanks! Lovely impressions and the quote is so true!